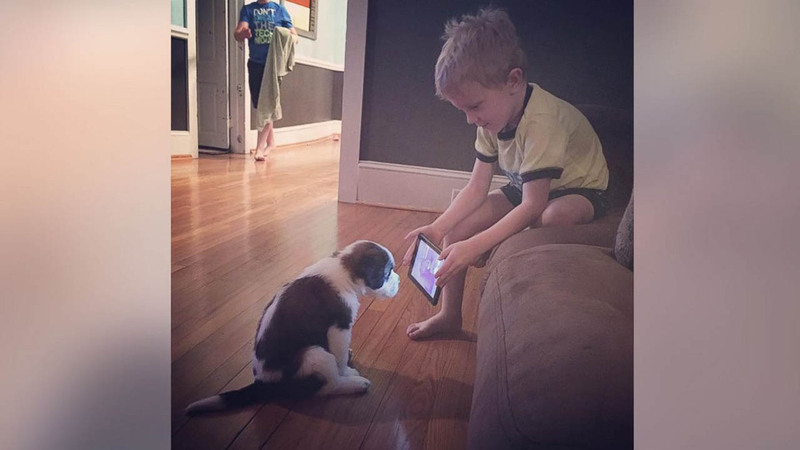 CHICKAMAUGA, GA -- When a boy's parents told him that he was responsible for training his new puppy, what they didn't expect was just how smart their iPad-toting son was. Lincoln Ball, 4, was given a puppy after his doctor discovered he was severely allergic to outdoor allergens, his father Daniel Ball told ABC News. "The allergy doctor said half-jokingly, 'Well there's good news and bad news. The bad news is you're allergic to everything outside. The good news is you're not allergic to pets. You could get a puppy,'" he said. For the full story, go to ABCNews.com.